В статті розглядаються ознаки лідерства, завдяки яким керівники та підприємці мають змогу розробляти автентичні стратегії, орієнтовані на корпоративну соціальну відповідальність, і сприяти стабільності розвитку своєї компанії. В статті здійснено узагальнення теоретичних основ, а також представлено емпіричний аналіз, в основі якого лежить якісний підхід та метод випадкового дослідження італійської компанії − Geico Spa. Ця компанія обрана як об’єкт дослідження, оскільки вона впроваджує передовий світовий досвід відносно побудови як моделі бізнесу, так і моделі лідерства. В статті охарактеризовано профіль компанії, бізнес-модель, управлінську та лідерську моделі, а також представлено параметри оцінювання персоналу підприємства, які включають такі критерії як технічна та професійна спроможність, орієнтація на результат, надійність, здатність аналізувати та синтезувати, перспективність, пристосовуваність, креативність, потенціал, амбіційність, корпоративний дух, етика, відповідальність, дисциплінованість, здатність працювати в команді, стресостійкість та ін. Результати дослідження засвідчили, що стиль лідерства призводить до створення бізнес-моделі, яка дозволяє працівникам реалізувати свій потенціал всередині та за межами компанії, а компанії − зростати та збільшувати свою конкурентоспроможність у всіх аспектах (економічному, фінансовому, соціальному, екологічному та етичному). Крім того, аналіз підтвердив, що драйвером стратегій корпоративної соціальної відповідальності та вдосконалення внутрішньої системи організації бізнес-процесів в компанії для досягнення нею сталого розвитку є так зване «добре управління». Стиль лідерства в межах концепції «доброго управління» спрямований на підтримання у працівників корпоративної лояльності, усвідомлення їх корисності для компанії, досягнення гармонії з внутрішніми і зовнішніми стейкхолдерами та навколишнім середовищем. Результати проведеного дослідження мають значення як для науки, так і для покращення практичних управлінських технологій в бізнесі. З одного боку, дослідження емпірично доводить та теоретично пояснює взаємозв’язок між автентичністю корпоративної соціальної відповідальності та внутрішньою мотивацією персоналу, харизматичністю та динамізмом лідерів компанії. З іншого боку, дослідження вказує на особливі чесноти, які дозволяють отримати доброчесні компетенції для покращення корпоративної соціальної відповідальності та стійкості компанії, які можуть бути розвинені через освітню та професійну практику. Таким чином, проведене дослідження допомагає покращити поширення сталого лідерства в реальних бізнес-контекстах, тим самим відкриваючи нові траєкторії для плідної конвергенції між теорією та практикою. Ключові слова: автентичність, корпоративна соціальна відповідальність, цілісність, стійкість, доброчесна етика, доброчесне лідерство. Accenture (2010). A new era of sustainability – UN Global Compact − Accenture CEO Study. Anderson, K.P. (2005). A correlational analysis of servant leadership and job satisfaction in a religious educational organization. Dissertation Abstracts International, 66(01A), 239. Aristotle (2009). The Nicomachean Ethics (translated by David Ross). Oxford/ New York: Oxford University Press. Avolio, B.J. and Gardner, W.L. (2005). Authentic leadership development: Getting to the root of positive forms of leadership, The Leadership Quarterly, 16, 315-338. Avolio, B. J., Bass, B. M., & Jung, D. I. (1999). Re-examining the components of transformational and transactional leadershipusing the multifactor leadership questionnaire. Journal of Occupational and Organizational Psychology, 72, 441-462. Bachmann, B. (2017). Ethical Leadership in Organizations. Concepts and Implementation. Chem, Switzerland: Springer, Int. Publishing. Bailey C.A. (2007). A guide to qualitative field research. 2nd Edition: Pine Forge, Sage. Bass, B.M. (1985). Leadership and performance beyond expectations. New York: Academic Press. Bass, B.M. (1997). Does the transactional-transformational leadership paradigm transcend organizational and national borders? American Psychologist, 52, 130-139. Bass, M.B. and Avolio, B.J. (1988). Trasformational Leadership, Charisma and Beyond. In Hunt, J.G., Baliga, B.R., Dachler, H.P. and Schriescheim, C.A., Emerging Leadership Vistas, Lexington: Lexington Books, pp. 29-49. Bass, M.B. and Avolio, B.J. (1990). The Implication of Transactional and Transformational Leadership for individual, team, organizational development, Research in Organizational Change and Development, 4, 231-272. Bass, B.M. and Avolio, B.J. (2000). MLQ: Multifactor leadership questionnaire (2nd ed.). Redwood City, CA: Mind Garden. Bass, B.M. and Bass, R. (2008). The Bass Handbook of Leadership, 4th ed. New York, NY: Free Press. Bass, B.M. and Riggio, R.E. (2006). Transformational Leadership, 2nd ed. Mahwah, NJ: Lawrence Erlbaum Associates, Publishers. Bass, B.M. and Steidlmeier, P. (1999). Ethics, character, and authentic transformational leadership behavior. Leadership Quarterly, 10(2), 181-217. Becker, T. (1998). Integrity in organizations: beyond honesty and conscientiousness. Academy of Management Review, 23(1), 154-161. Blok, V., Gremmen, B. & Wesselink, R. (2015). Dealing with the Wicked Problem of Sustainability: The Role of Individual Virtuous Competence. Business & Professional Ethics Journal, Fall 2015, 34(3): 297-327. Available at: http://doi: 10.5840/bpej201621737. Bouckaert, L. (2011). Spirituality and Economic Democracy. In L. Zsolani (Eds. ), Spirituality and Ethics in Management, 2nd ed. Dordrecht: Springer, pp. 41-52. Bright, D. S., Cameron, K. S., and Caza, A. (2006). The amplifying and buffering effects of virtuousness in downsized organizations. Journal of Business Ethics, 64: 249–269. Brown, J.B. (2011). The Building of a Virtuous Transformational Leader. The Journal of Virtues and Leadership, 2(1), 6-14. Brown, M.E., and Treviño, L.K. (2006). Socialized charismatic leadership, values congruence, and deviance in work groups. Journal of Applied Psychology, 91, 954–962. Bruni, L. and Sena, B. (Eds.) (2013). The Charismatic Principle in Social Life. New York: Routledge. Burns, J.M. (1978). Leadership. New York: Harper & Row. Cameron, K. S., Bright, D., and Caza, A. (2004). Exploring the relationships between organizational virtuousness and performance. American Behavioral Scientist, 47(6), 766–790. Campbell, J.L. (2007). Why would corporations behave in socially responsible ways? An institutional theory of corporate social responsibility, Academy Management Review, 32(3), 946-967. Cardona, P. (2000). Trascendental Leadership, Leadership and Organization Development Journal, 21(4), 201-206. Carroll, A.B. (1991). The pyramid of corporate social responsibility: toward the moral management of organisational stakeholders, Business Horizons, 34(4), 39-48. Carroll, A. (2000). Ethical challenges for business in the new millennium, corporate social responsibility and models of management morality. Business Ethics Quarterly, 10, 33–42. Castelló, I. and Lozano, J.M. (2011). Searching for new forms of legitimacy through corporate responsibility rhetoric, Journal of Business Ethics, 100(1), 11-29. Chun, R. (2017), Organizational Virtue and Performance: An Empirical Study of Customers and Employees, Journal of Business Ethics, 146: 869-881. Constantinescu, M., and Kaptein, M. (2015). Mutually enhancing responsibility: A theoretical exploration of the interaction mechanisms between individual and corporate moral responsibility. Journal of Business Ethics, 129: 325-339. Constantinescu, M., and Kaptein, M (2018, forthcoming), Virtue Ethics and CSR: the two sides of Sustainable Organizational Performance. In: Wermayer, W., Looser, S. & Del Baldo, M. Intrinsic CSR in Competitive Companies: The Categorical Imperative of Doing Well (1-17). London: Palgrave. Covey, S. M. R. (2008). The Speed of Trust – The One Thing That Changes Everything. New York, NY: Free Press. Del Baldo, M. (2012). Corporate Social Responsibility and Corporate Governance in Italian Smes: the Experience of Some ‘spirited business, Journal of Management and Governance, 16(1), 1-36. Del Baldo, M. (2013a). CSR-Oriented SMEs: A question of Entrepreneurial Virtues in Action? Reflections in Theory and Practice. In J.O. Okpara, and S.O. Idowu (Eds. ), Corporate Social Responsibility. Challenges, Opportunities and Strategies for 21st Century Leaders. Berlin Heidelberg: Springer-Verlag, pp. 145-170. Del Baldo, M. (2014). Corporate Social Responsibility, Entrepreneurial Values and Transcendental Virtues in Italian SMEs. International Journal of Business and Social Science, 5(6), 25-51. Del Baldo, M. (2017), Authentic CSR and Leadership: toward a virtues-based model of stakeholders dialogue and engagement. The Loccioni Group experience. In S.O. Idowu and S. Vertigans (ed. ), Stages of Corporate Social Responsibility: From Ideas to Impacts. Berlin Heidelberg: Springer-Verlag, pp. 179-203. Del Baldo, M. (2018). CSR, Innovation and Human Resource Management. The Renaissance of Olivetti’s humanistic management in Loccioni Group – Italy. In Lu, H., Schmidpeter, R., Capaldi N. & Zu L. (Eds. ), Building New Bridges Between Business and Society. Recent Research and New Cases in CSR, Sustainability, Ethics and Governance, p. 145-167. Springer International Publishing, Cham, Switzerland. Dentoni, D., Hopes, O., & Ross, B. (2012). Managing wicked problems in agribusiness: the role of multi-stakeholder engagements in value creation. International Food and Agribusiness Management Review, 15(special issue B), 1-12. Driscoll, D.M. & Hoffman, W.M. (2000). How to Implement Values-Driven Management. Walham, MA: Bentley College. Du, S., Swaen, V., Lindgreen, A. and Sen, S. (2013). The Roles of Leadership Styles in Corporate Social Responsibility, Journal of Business Ethics, 114, 155-169. Eisenhardt, K.M., & Graebner, M.E. (2007). Theory building from cases: Opportunities and challenges. Academy of Management Journal, 50(1), 25-32. Ellen, S. P., Webb, D. J., and Mohr, L. A. (2006). Building corporate associations: Consumer attributions for corporate socially responsible programs. Journal of the Academy of Marketing Science, 34: 147–157. Errol, E.J. and Winston, B.E. (2005). A Correlation of Servant Leadership, Leader Trust, and Organizational Trust, Leadership & Organization Development Journal, 26(1), 6-22. Ferrero, I., and Sison, A. J. G. (2014). A quantitative analysis of authors, schools and themes in virtue ethics articles in business ethics and management journals (1980–2011). Business Ethics: A European Review, 23, 375–400. Fifka, M.S. (2012). The irony of stakeholder management in Germany: the difficulty of implementing an essential concept for CSR. UWF, 21(1-2), 113-118. Geico (2015). Annual Report 2015 Apr. 2014 – Mar. 2015. taikisha-group.com. Globe (2008). Global Leadership and Organizational Behavior Effectiveness, Culture and Leader Effectiveness. Retrived from: www.ccl.org/leadership/pdf/GlobeStudy (accessed 23 July 2013). Graafland, J.J. and Van de Ven, B. (2006). Strategic and moral motivation for corporate social responsibility, Journal of Corporate Citizenship, 22, 111-123. Graafland, J.J. and Mazereeuw-Van der Duijn Schouten, C. (2012). Motives for corporate social responsibility. De Economist, 160(4), 377-396. Gottlieb, J.Z. and Sanzgiri, J. (1996). Towards an ethical dimension of decision making in organizations. Journal of Business Ethics, 15(12), 1275-1285. Gray, R., Adams, C.A. and Owen, D. (2014). Accountability, Social Responsibility and Sustainability. Accounting for Society and the Environment. Harlow, UK: Pearson. Groves, K.S. and LaRocca, M.A. (2011). 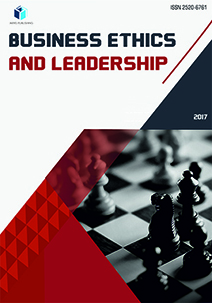 An empirical study of leader ethical values, transformational and transactional leadership, and follower attitudes toward corporate social responsibility, Journal of Business Ethics, 103, 511-528. Hebert, S.C. (2004). The relationship of perceived servant leadership and job satisfaction from the follower’s perspective, Proceedings of the American Society of Business and Behavioral Sciences, 11(1), 685-697. Heugens, P. P. M. A. R., Kaptein, M., and Van Oosterhout, J. (2008). Contracts to communities: A processual model of organizational virtue. Journal of Management Studies, 45: 100–21. Herlyn, E.L.A. and Radermacher, F.J. (2014). Sustainability: Challenges for the Future. In C. Weidinger, F. Fischler and R. Schmidpeter (Eds. ), Sustainable Entrepreneurship. Business success through sustainability. Berlin Heidelberg: Springer-Verlag, pp. 23-37. Hoivik von Weltzien, H. (2014). The Heart of Leadership is Ethics, Impresa Progetto-Electronic Journal of Management, 11, 1-9. Hoivik von Weltzien, H. and Melé, D. (2009). Can a SME Become a Global Corporate Citizen? Evidence from a Case study, Journal of Business Ethics, 88, 551-562. Ionescu-Somers, A. (2014). Embedding Sustainable Entrepreneurship in Companies: The Eternal Internal Challenge. In C. Weidinger, F. Fischler and R. Schmidpeter (Eds. ), Sustainable Entrepreneurship. Business success through sustainability. Berlin Heidelberg: Springer-Verlag, pp. 177-189. Irving, J. (2005). Exploring the Relationship between Servant Leadership and Team Effectiveness. Regent University Roundatble Proceedings. Virgina Beach, VA: Regent University. ISVI (2017). Quando è l’etica a spingere la competitività. ISVI Istituto per i valori d’impresa., 1-19 Intelligenza e amore,fattori di buon governo delle imprese, delle istituzioni, dei territori, Assolombarda, Milano, 24 Maggio 2017. Jacobsen, C. (2001). Dynamics of charismatic leadership: A process theory, simulation model, and tests, Leadership Quarterly, 12(1), 75-112. Jakobsen, O., Zolnai, L. & Chatterji, M. (Eds.) (2017). Integral Ecology and Sustainable Business. Emerald Publishing Limited: UK. Bingley, West Yorkshire. Jenkins, H. (2006). Small business champions for corporate social responsibility, Journal of Business Ethics, 6(3), 241-256. Jenkins, H, (2009). A ‘business opportunity’ model of corporate social responsibility for small- and medium-sized enterprises, Business Ethics: A European Review, 18(1), 21-36. Jones, B., Bowd, R. & Tench, R. (2009). Corporate irresponsibility and corporate social responsibility: competing realities. Social Responsibility Journal, 5(3), 300-310. Kaptein, M. (1998). Ethics Management: Auditing and developing the ethical content of organizations. Dordrecht: Kluwer Academic Publishers. Kaptein, M. (2009). Ethics Programs and Ethical Culture: A Next Step in Unravelling their Multi-faceted Relationship, Journal of Business Ethics, 89(2), 261-281. Kaptein, M. (2011). Understanding unethical behavior by unravelling ethical culture. Human Relations, 64, 843-869. Kaptein, M. (2017). When organizations are too good: Applying Aristotle’s doctrine of the mean to the corporate ethical virtues model. Business Ethics: A European Review, 26, 300-311. Kaptein, M., and Wempe, J. (2002). The Balanced Company: A theory of corporate integrity. New York: Oxford University Press. Ketola, T. (2008). A Holistic Corporate Responsibility Model: Integrating Values, Discourses and Actions, Journal of Business Ethics, 80, 419-435. Lamont, G. (2002). The Spirited Business: Success Stories of Soul Friendly Companies. London: Hodder & Stoughton. Laub, J. (1999). Assessing the servant organization: Development of the servant organizational leadership (SOLA) instrument. Dissertation Abstracts International, 60(02), 308. (UMI No. 9921922). Laub, J. (2004). Defining servant leadership: A recommended typology for servant leadership studies. Proceedings of the Servant Leadership Research Roundtable. Retrieved From http://www.regent.edu/acad/global/publications/sl_proceedings/2004/ laub_defining_servant.pdf (accessed 26 March 2014). Lin-Hi, N. & Müller, K. (2013). The CSR bottom line: Preventing corporate social irresponsibility. Journal of Business Research, 66(10), 1928-1936. Lindenberg, S. (2001). Intrinsic motivation in a new light. Kyklos, 54, 317-342. Linnanen, L. and Panapanaan, V. (2002). Roadmapping CSR in Finnish Companies. Helsinki: Helsinky University of Tecnology. Liu, C.H. (2007). Transactional, Transformational, Transcendental Leadership: Motivation Effectiveness and Measurement of Transcendental Leadership. Paper presented at the Conference Leading the Future of the Public Sector: The Third Transatlantic Dialogue’, University of Delaware, Newark, Delaware, USA, May 31-June 2, 1-26. Lloyd, H.R. and Mey, M.R. (2010). An Ethics Model to Develop an Ethical Organisation. South African Journal of Human Resource Management, 8(1), 1-12. Looser, S. and Wehrmeyer, W. (2015). Doing well or doing good? Extrinsic and intrinsic CSR in Switzerland, UWF, DOI 10.1007/s00550-015-0360-9, 1-14, published on line August 14, 2015, Berlin Heidelberg: Springer-Verlag. Lowe, K.B., Kroeck, K.G. and Sivasubramaniam, N. (1996). Effectiveness correlates of transformational and transactional leadership: A meta-analytic review of the MLD literature, Leadership Quarterly, 7, 385-425. Mahoney, L.S., Thorne, L, Cecil, L. and LaGore, W. (2013). A research note on standalone corporate social responsibility reports: Signaling or greenwashing? Critical Perspectives on Accounting, 24(4-5), 350-359. Martin, R.L. (2002). The Virtue Matrix: Calculating the Return on Corporate Responsibility, Harvard Business Review, March, 3-11. McNeff, M. E. & Irving, J. A. (2017). Job Satisfaction and the Priority of Valuing People: A Case Study of Servant Leadership Practice in a Network of Family-Owned Companies. SAGE Open, January-March 2017, 1-8. doi: 10.1177/2158244016686813. Melé, D. (2009). Business Ethics in action, Seeking Human Excellence in Organizations. NY: Palgrave McMillan. Miears, L. D. (2004). Servant-leadership and job satisfaction: A correlational study in Texas Education Agency Region X public schools, DAI, 65, (09A), 3237. Mirvis, P., Googins, B. and Kiser, C. (2013). Corporate Social Innovation. MA: Babson College. Muller, A., and Kolk, A. (2010). Extrinsic and intrinsic drivers of corporate social performance: Evidence from foreign and domestic firms in Mexico. Journal of Management Studies, 47, 1-26. Olivari (Ed.) (2015). L’impresa del terzo millennio. With the contributions of: Arabnia A.R., Bruni L., Coda V.,Lacaita C.G., Laborghini B., Loccioni E., Vitale M. Milano: Inaz, Piccola Biblioteca d’Impresa Inaz. Olsen, O.K. (2010). Are good leaders moral leaders? The relationship between effective military operational leadership and morals, Dissertation for the philosophiae doctor degree (PhD) at the University of Bergen. Opdebeeck, H. (2013). The Role of the Charismatic Economist E.F. Schumacher in Economic and Civil Life: CSR and Beyond. In L. Bruni & B. Sena (Eds. ), The Charismatic Principle in Social Life. New York: Routledge, pp. 151-170. Osagie, E.R., Wesselink, R., Runhaar, P. & Mulder, M. (2017). Unraveling the Competence Development of Corporate Social Responsibility Leaders: The Importance of Peer Learning, Learning Goal Orientation, and Learning Climate. Journal of Business Ethics, published on line 14th July 2017, 1-16. doi: 10.1007/s10551-017-3638-8. Osburg, T. (2014). Sustainable Entrepreneurship: A Driver for Social Innovation. In C. Weidinger, F. Fischler and R. Schmidpeter (Eds. ), Sustainable Entrepreneurship. Business success through sustainability. Berlin Heidelberg: Springer-Verlag, pp. 103-115. Paine, L.S. (1994) Managing for Organizational Integrity, Harvard Business Review, March-April, 72, 106-117. Page, D. and Wong, P.T.P. (2000). A conceptual framework for measuring servant leadership. In S. Adjibolosoo (Ed. ), The human factor in shaping the course of history and development, Chapter 5. Boston, MA: University Press of America, pp. 1-28. Palshikar, K. (2007). Charismatic Leadership. Retrieved from http://www.unc.edu/~ketan/documents/Charismatic%20Leadership.pdf. (accessed 23 March 2014). Pless, N. M. (2007). Understanding responsible leadership: Roles identity and motivational drivers. Journal of Business Ethics, 74(4), 437-456. Pless, N.M. and Maak, T. (2011). Responsible leadership: Pathways to the future, Journal of Business Ethics, 98, 3-13. Porter, M. and Kramer, M. (2006). Strategy and society: the link between competitive advantage and corporate social responsibility, Harvard Business Review, 84(12), 78-92. Pruzan, P. (2001). The Question of Organizational Consciousness: Can Organizations Have Values, Virtues and Visions? Journal of Business Ethics, 29, 271-284. Ruisi, M. (2010). Measure Entrepreneurial Virtues. Towards a new perspective for the indicators of corporate success, paper presented at the 23rd Eben Annual Conference Which values for which Organisations?, Trento, 9-11 September. Schaltegger, S. and Wagner, M. (2008). Types of sustainable entrepreneurship and conditions sustainability innovation: From administration of a technical challenge to the management entrepreneurial opportunity. In R. Wustenhagen, J. Hamschmidt, S. Sharma and M. Starik (Eds. ), Sustainable innovation and entrepreneurship. Cheltenham: Edward Elgar, pp. 27-48. Shamir, B., House, R.J. and Arthur, M.B. (1993). The motivational effects of charismatic leadership: A self-concept based theory, Organization Science, 4(4), 577-594. Shepherd, D. A. and Patzelt, H. (2017). Researching Entrepreneurships’ Role in Sustainable Development, Chapter 5. In D.A. Shepherd and H. Patzelt, Trailblazing in entrepreneurship: Creating new paths for understanding the field. Cham, Switzerland: Palgrave Macmillan, pp. 149-180. Schmidpeter, R. (2014). The Evolution of CSR from Compliance to Sustainable Entrepreneurship. In C. Weidinger, F. Fischler and R. Schmidpeter (Eds. ), Sustainable Entrepreneurship. Business success through sustainability. Berlin Heidelberg: Springer-Verlag, pp. 127-134. Schüz, M. (2012). Sustainable Corporate Responsibility − The Foundation of Successful Business in the New Millennium, in: Central European Business Review, Prague: VSE, No 2, 7-15. Schüz, M. (2017). Foundations of Ethical Corporate Responsibility. Winterthur: ZHAW School of Management and Law. Serio L. (2017). Medie Eccellenti, Le imprese italiane nella competizione internazionale. Milano: Guerini e Associati. Shanahan, K. J., and Hyman, M. R. (2003). The development of a virtue ethics scale. Journal of Business Ethics, 42: 197-208. Sison, A.J.G. and Ferrero, I. (2015). How different is neo-Aristotelian virtue from positive organizational virtuousness? Business Ethics: A European Review, 24, 78-98. Sison, A.J.G., Beabout, G.R. and Ferrero, I. (Eds.) (2017). Handbook of Virtue Ethics in Business and Management. Dordrecht, Netherlands: Springer. Solomon, R.C. (1999). A Better Way to Think About Business – How Personal Integrity Leads to Corporate Success. Oxford/ New York: Oxford University Press. Solomon, R.C. (1992). Corporate Roles, Personal Virtues: An Aristotelain Approach to Business Ethics, Business Ethics Quarterly, 2(3), 317-339. Spears, L.C. (1995). Servant leadership and the Greenleaf legacy. In L.C. Spears (ed. ), Reflections on leadership: How Robert K. Greenleaf’s theory of servant-leadership influenced today’s top management thinkers. New York: John Wiley & Sons, pp. 1-14. Spence, LJ. and Schmidpeter, R. (2003). SMEs, Social Capital and the Common Good, Journal of Business Ethics, 45(1-2), 93-108. Spence, L.J., Habisch, A. and Schmidpeter, R. (Eds.) (2004). Responsibility and Social Capital: The World of Small and Medium Sized Enterprises. London: Palgrave Macmillan. Stephan, U., Patterson, M., Kelly, C. and Mair, J. (2016). Organizations driving positive social change: A review and an integrative framework of change processes, Journal of Management, 42(5), 1250-1281. Swanson, D. (1999). Toward an integrative theory of business and society: A research strategy for corporate social performance. Academy of Management Review, 24, 506–21. Treviño, L. K., and Brown, M. (2004). Managing to be ethical: Debunking five business ethics myth. Academy of Management Executive, 18, 69-81. Van Tassell, M. (2006). Called To Serve: Servant-Leadership Perceptions at a Franciscan sponsored University Correlated with Job Satisfaction. Dissertation Abstracts International 67, No. 08A, p. 2843. Visser, W. (2011). The Nature of CSR Leadership. Definitions, Characteristics and Paradoxes, CSR International Paper Series, 4, 1-10. Vlachos, P. A., Panagopoulos, N. G., and Rapp, A. (2013). Feeling good by doing good: Employee CSR-induced attributions, job satisfaction, and the role of charismatic leadership. Journal of Business Ethics, 118, 577-588. Vyakarnam, S., Bailey, A., Myers, A. and Burnett, D. (1997). Towards an understanding of ethical behaviour in small firms, Journal of Business Ethics, 16(15), 1625-1636. Waldman, D.A., Siegel, D.S. and Javidan, M. (2006). Components of CEO transformational leadership and corporate social responsibility, Journal of Management Studies, 43, 1703-1725. Walker, T. (2015). Entrepreneurial Wisdom. Paper presented at the 2nd International Conference on CSR, Sustainability, Ethics and Governance, Nanjing, China, July 29-31, 2015. Retrieved from 2015_01_Entrepreneurial_Wisdom_Walker_final.docm, pp 1-12. walk-on Institute for sustainable solutions. www.walk-on.co.at (accessed 18 January 2016). Walker, B. and Salt, D. (2006). Resilience thinking: sustaining ecosystems and people in a changing world. Washington, USA: Island Press. West, G.R.B. and Bocarnea, M. (2008). Servant Leadership and Organizational Outcomes: Relationship in United States and Filipino Higher Educational Settings. Proceedings of the Servant Leadership Research Roundtable. Retrived from http://www.regent.edu/acad/global/publications/sl_proceedings/2008/West-Bocarnea.pdf (accessed 30 June 2015). Winston, B.E. (2003). Extending Patterson’s servant leadership model: Coming full circle. Proceedings of the Servant Leadership Research Roundtable. Retrieved from http://www.regent.edu/acad/global/publications/sl_proceedings/2003/winston_extending_patterson.pdf (accessed 19 August 2015). Wisnoentoro, R. (2014). Digesting the Essence of Phenomenology as the Guide for Case Study Researchers, In the Context of Qualitative Communication Research Methodology. International journal of Science Commerce and Humanities, 2(4), 260-268. World Business Council for Sustainable Development (2012). Retrived from www.wbcsd.org. (Accessed 15 January 2015). Yin, R. (2009). Case Study Research: Design and Methods, 4th ed. Thousand Oaks, CA: Sage. Zadek, S. (2006). Responsible Competitiveness: Reshaping Global Markets Through Responsible Business Practices, Corporate Governance, 6(4), 334-348. Zattoni, A. (2017). Estratto da “Ali Reza Arabnia. Storia e valori di un imprenditore”. Inaz, Piccola Biblioteca d’Impresa (pp. 2-45). Milano: Inaz. Zattoni, A. (2016). Geico, in M. Minoia (Ed.) ISVI- Il buon governo. Insegnamenti dalle storie di imprese, istituzioni e realtà locali. Milano: Egea, pp. 1-34. Yukl, G. (1999). An evaluation of conceptual weaknesses in transformational and charismatic leadership theories, Leadership Quarterly, 10, 285-305.